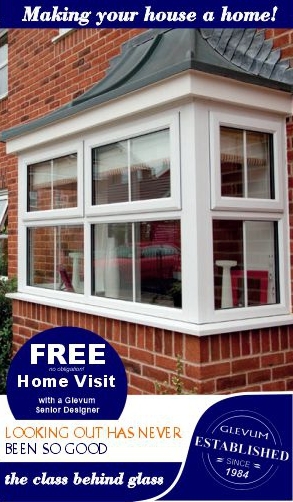 A Glevum conservatory is individually designed to reflect the style and character of your property. We also consider all the functionality that you need within your new room including heating choices, light switches, power sockets and furniture positioning. Slightly different take on the traditional conservatory by bringing together the lightness of double-glazed windows with additional brick built pillars and wall sections to blend in with your existing property. Available in both traditional and contemporary designs. A unique building concept which gives a modern twist on the traditional orangery design, giving you an affordable, luxurious extension to your home. One which can be used comfortably all year round, as it will stay warm in the winter, but cool in the summer. Ever considered upgrading your existing Conservatory into a cosy all-year-round living space? Well now you can, whether it be the Guardian Warm Roof Conversion System, or a combined glazed and solid solution, or even a roof dressed in real tiles or slate to match that of your home. With over 25 years experience and an unrivalled reputation for quality and choice, Appeal Home Shading is the conservatory and window blinds supplier that we recommend. Never compromise on quality! Looking for a tailor-made Conservatory or Glass Extension? For many homes, space is at a premium and conservatories can not only give you more space but act as the perfect link between your home and garden. Our customers regularly tell us that their conservatory rapidly becomes their favourite room in the house. 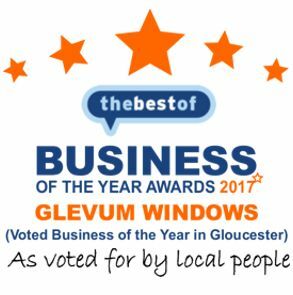 At Glevum we have an extensive range of Conservatories and Glass Extensions on offer, each individually designed to reflect the style and character of your property. From the traditional lean-to conservatory to a luxurious Loggia home extension. 3 or 5 Facet Classic Victorian. As all our conservatories are made to measure, we have the know-how to create designs that can be tailor-made to suit your pocket and make your dream of the perfect conservatory a reality. Or we can even create a conservatory from a combination of two or three of the above mentioned styles. Whichever conservatory style you choose, we’ll make sure it has all those unique touches that only you can add and we can build. All our conservatories come backed with a 10 Year INSURANCE BACKED Guarantee (through the GGFi Guarantee Protection Scheme). 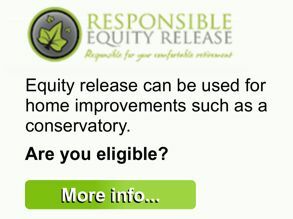 Easy payment options available, including the ability to spread the cost over the longer term. Conservatories: A Glevum conservatory is individually designed to reflect the style and character of your property. We also consider all the functionality that you need within your new room including heating choices, light switches, power sockets and furniture positioning. Orangeries: Slightly different take on the traditional conservatory by bringing together the lightness of double-glazed windows with additional brick built pillars and wall sections to blend in with your existing property. Available in both traditional and contemporary designs. Home Extensions: A unique building concept which gives a modern twist on the traditional orangery design, giving you an affordable luxurious extension to your home. One which can be used comfortably all year round, as it will stay warm in the winter, but cool in the summer. NOT sure which conservatory to choose? We understand that a conservatory is a big investment, so to help you choose and get expert advice, we have the largest outdoor conservatory village in the South West at our Head Office near Newnham on Severn, where you can view a great range of sizes, shapes and styles in their natural, outdoor environment. You can also opt to take a virtual tour of our showroom and conservatory village from the conform of your home, by simply clicking the ‘Take a Virtual Tour’ button on the right of your screen. Considering upgrading your existing conservatory into a ‘cosy’ all-year-round living space? Well now you can, with our range of roof solutions. From the high performance Guardian Warm Roof Conversion System, to a combined glazed and solid solution, even a roof dressed in real tiles or slate to match that of your home. Credit is subject to application & status. Terms & conditions apply. All offers apply to new orders placed directly with Glevum. *Full written credit details available on request. We reserve the right to remove and / or refuse the above mentioned offers at anytime. "My previous experience with double glazing companies was unhelpful but my views have changed following the work on this occasion. The whole process was a pleasure and I was impressed with the work of the fitters. I feared a good deal of disruption but that was misplaced. The fitters were punctual , professional and tidy. I fully expected a trip to the tip but even that was unnecessary. The finished product has attracted favourable comments. "